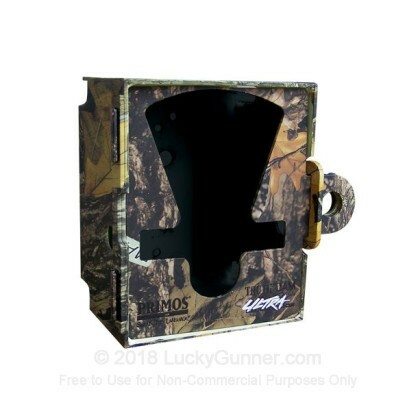 Trail cameras are a tremendous force multiplier for hunters who can't be everywhere at once. Protecting them with strong enclosures that blend into the environment is a no brainer. High end cameras such as Primos's high-end Ultra represent a considerable investment of resources. This affordable heavy-duty 14 gauge steel box is designed to add an extra layer of protection to Ultra cameras and comes with attachment points for 3/8" steel bolts, a 1/2" padlock, and a 1/2" security cable. With all of these devices installed, this box and the camera inside become virtually impervious to curious animals and an extremely difficult target for a would-be thief.